In our last article discussing knee injuries, we covered the more anterior part of the knee. If you’re suffering from pain towards the front of your knee/knee cap read that article here. Today however, we are going to look at the other main cause of knee issues in runners… So common in fact that it’s one of several conditions that’s often referred to as ‘Runners Knee’. Many of us will have heard of the Iliotibial-band (ITB) and have at some point rolled around on the floor using a foam roller - maybe because we’ve been told it’s ‘tight’ so you should try to release it. So what is the ITB? The ITB itself is not a muscle but a thick tendinous structure that spans the outside aspect of the thigh. At it’s proximal insertion (top end) it attaches to the TFL (tensor fascia latae) which is a hip muscle that works to abduct (move the leg away from the body) and rotate the femur inwards. It also attaches to the gluteus maximus and the pelvis at the iliac crest (top of the hip bone). At it’s distal end the ITB attaches down the outside of the leg and across the knee joint, connecting to the outside of the tibia (shin bone). Role: The function of the IT band is to transmit the force from the muscles it attaches to, down the leg to act on the knee. This means it is meant to be tight, or rather, taught. If it were a loose spongey piece of tissue it would be ineffectual at transmitting force. The iliotibial band functions to stabilise the lateral hip and knee, as well as limit hip adduction and knee internal rotation. That is to say, to stop the knee dropping inwards when running and stabilise the pelvis. It is called IT band syndrome as it has always been thought that the pain arrises from friction of the IT band as it passes over the femoral condyle as the knee bends and straightens resulting in inflammation and pain to the lateral aspect of the knee. However, more recent research suggests it may be the fat pad between the tendon and the bone that is actually being inflamed. As with all tissues in the body it can become overloaded with muscle imbalances, poor training management or poor running mechanics. 1. Increased milage, and rapid changes in training frequency or training type i.e hill running for the first time. Big or sudden spikes in training volume can cause some sort of overload injury and a person’s individual issues will determine what this might be. Be sure to allow proper recovery between runs and know that fatigue can cause weaknesses to be exposed. 2. Imbalances in the muscles that act on the ITB as well as surrounding muscles, leading to overload of the ITB at it’s insertion at the knee. We often talk about the gluteus medius in running and that is due to the role it plays in stabilising the pelvis. If the muscle is not strong enough then other muscles will take over, one of these being the TFL which acts directly on the ITB. Another imbalance would be if the gluteus maximus (which works as a hip extensor) is not strong enough, the TFL and more anterior muscles will again take over. 3. Tightness of the muscles that attach to the ITB leading to increased loading and wear and tear. Due to the above imbalance the TFL as well as the hip flexor muscles often become overactive and tight. 4. 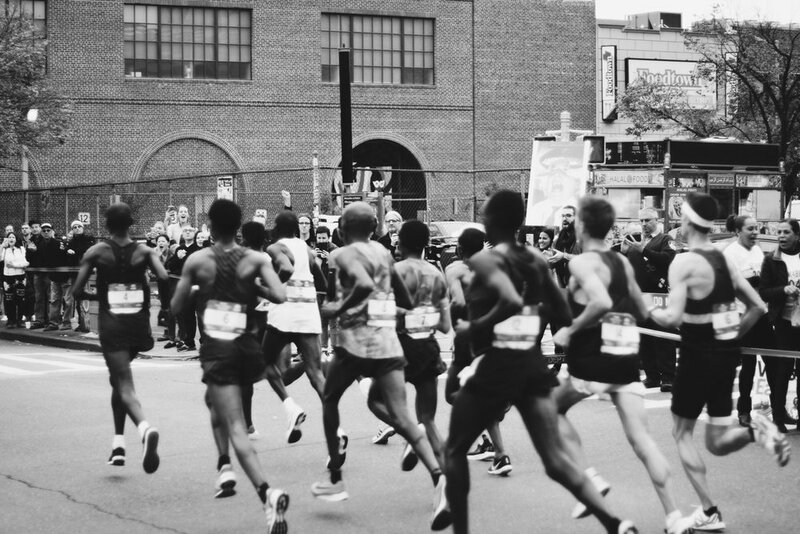 Poor running mechanics - whether a result of technical error, weakness or inappropriate footwear can cause the knee to be in positions that stress the ITB and/or fat pads beneath. What to do about ITB Syndrome? As this is an inflammatory issue, initially you may need to reduce your running load and volume or rest completely to allow the tissues to settle. How long you rest for will depend on the level of irritation/severity of injury. Cause 1 (rapid increase in mileage) is the most obvious and easiest problem to remedy. Stick to small manageable increases in training volume and allow time for recovery between runs. Cause 2 (weakness in the associated muscles) can take a little more time to put right but with a sensible training plan (such as this free one) you can address the most common areas of weaknesses. Most cases present tight anteriorly and weaker posteriorly but this is a generalisation so we recommend getting a professional assessment. Cause 3 (tightness in the associated muscles) will be quick to address but must also be fixed more long term. Figuring out why things are perpetually tight can take some analysis and lifestyle changes perhaps. Cause 4 (poor running mechanics/technique) is really common, especially if you’re also weaker in the areas that are important for efficient running. Fixing this alongside a good training programme is the best remedy. For assessment of technique in the London area get in touch with Marc here!